You know that song by Beyonce. Or maybe you are more familiar with Try by Colbie Caillat, Girl Can’t Be Herself by Alicia Keys, or Unpretty by TLC. Either way, there are a host of songs that talk about how confidence and value is associated with how you look, more specifically your body type. The way we see our body is shaped by songs, images we see on the big and small screen, and the people around us. Today is 7-11 (July 11). That’s my Aunt Quay’s birthday. She taught us to remember her birthday by thinking about the convenience store 711. Guess what? It worked! I always remember her birthday because of that simple association. I love her for a variety of reasons. The one that connects with this piece is her body image. My Aunt Quay has battled with weight most of my life and she has been very open and honest about this process. Last year, she began a transformation that foc used on her taking back her power, lots of discipline and loving herself through the pain. Her facebook post says it all. She is my body goals hero. 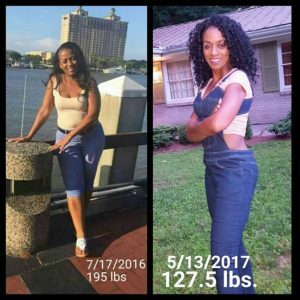 The weight loss and muscle tone is amazing, however, my admiration is more so for being committed to her new self, staying focused on the goal, and embracing a reality many told her wasn’t possible. My Aunt Quay is amazing and her body image is powerful. She took ownership, paid the dues, set a goal, and continues to work at building her best self which involves BEING her BEST self. Thanks to her and many others who have helped shaped my positive body image. 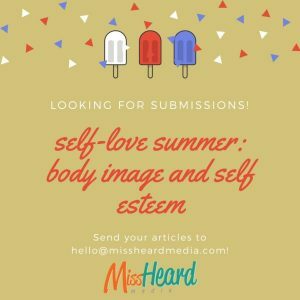 Who or what has shaped your body image? 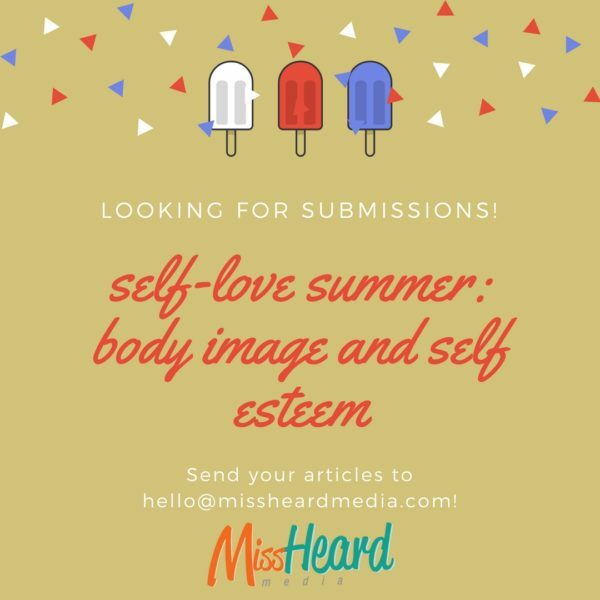 Miss Heard Media is seeking submissions for the month of July focused on Body Image/Self-Esteem.Your voice is wanted and needed. You may help another girl out there looking in the mirror and seeing much more (or less) than the powerful person we know exists. So, I challenge you to accept the call and send them your thoughts and feelings around BODY! I look forward to reading your amazing stories.